Project Fairy Tale: Introducing Aesop Monogatari! 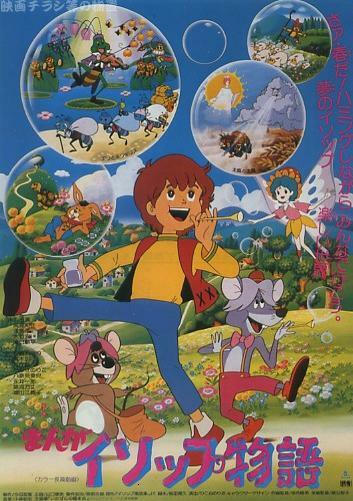 So, when I was a little girl, one of my favorite videos to watch was this beautiful Japanese version of the Aesop tales! It starts off with The Boy Who Cried Wolf. Aesop is the little boy in the story (instead of the elusive author) and when he runs from the wolves (after the villagers refuse to help him), he falls into a portal to another world. The title of this movie, produced by Toei Animation, is Aesop Monogatari. It is delightful. I still love to watch this movie on occasion, partly because it brings back so many childhood memories, but also because it is really well-done, cute, and creative. I hope you enjoyed the Project Fairy Tale event! It was hosted by The Cheap Reader and you can find all the other related posts on her Master Post.